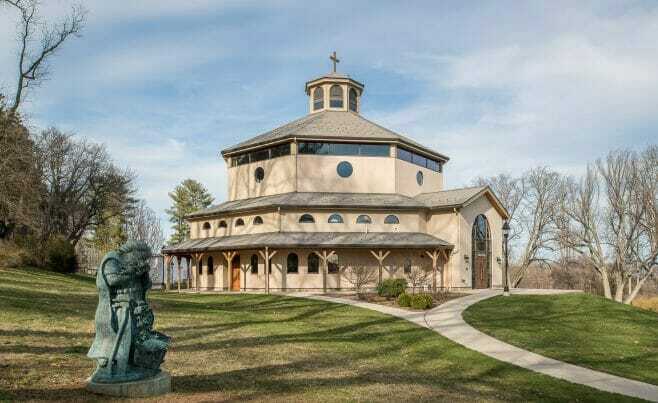 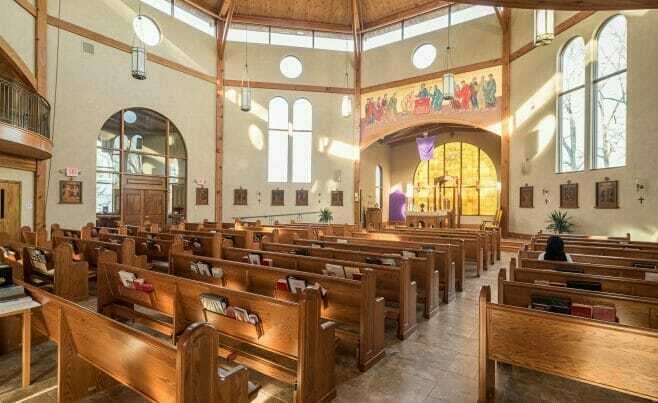 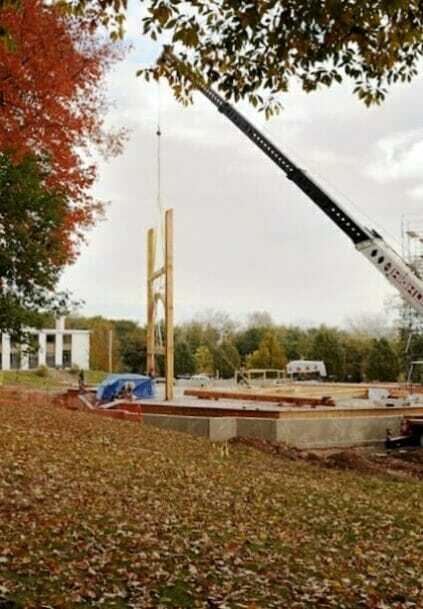 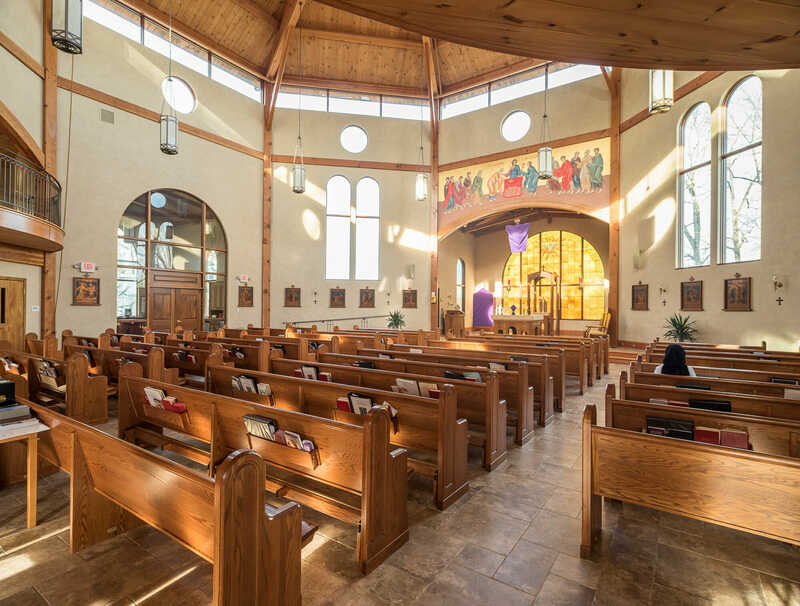 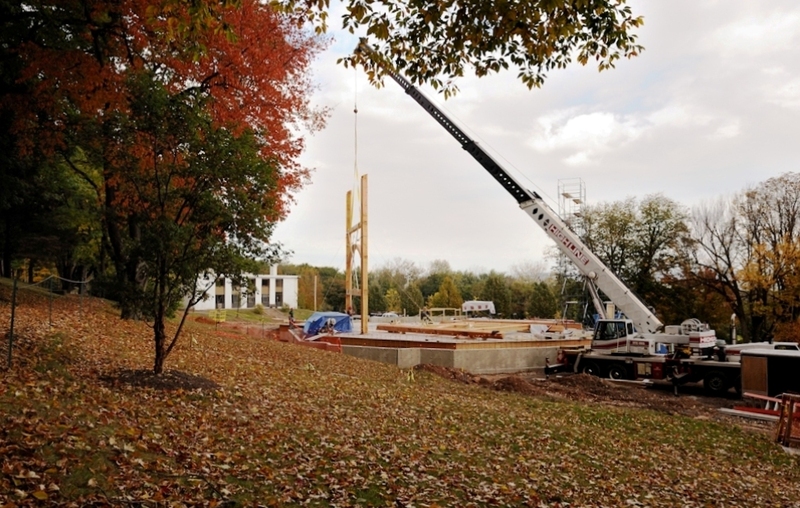 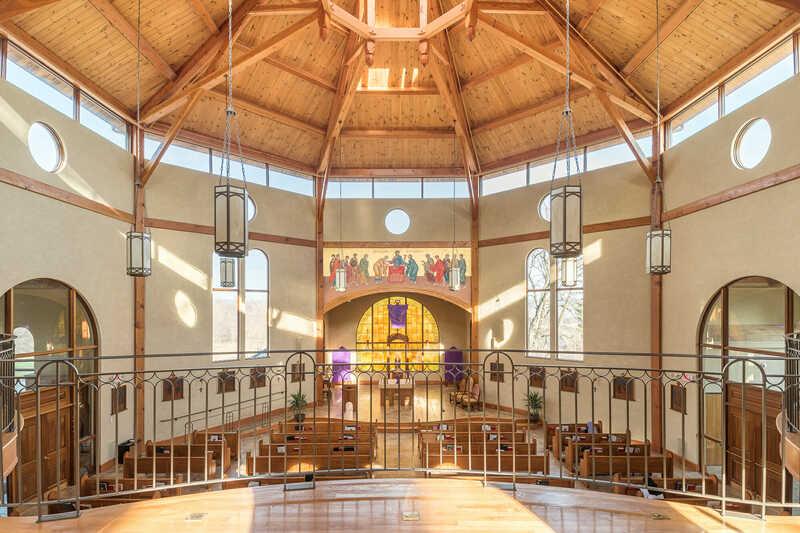 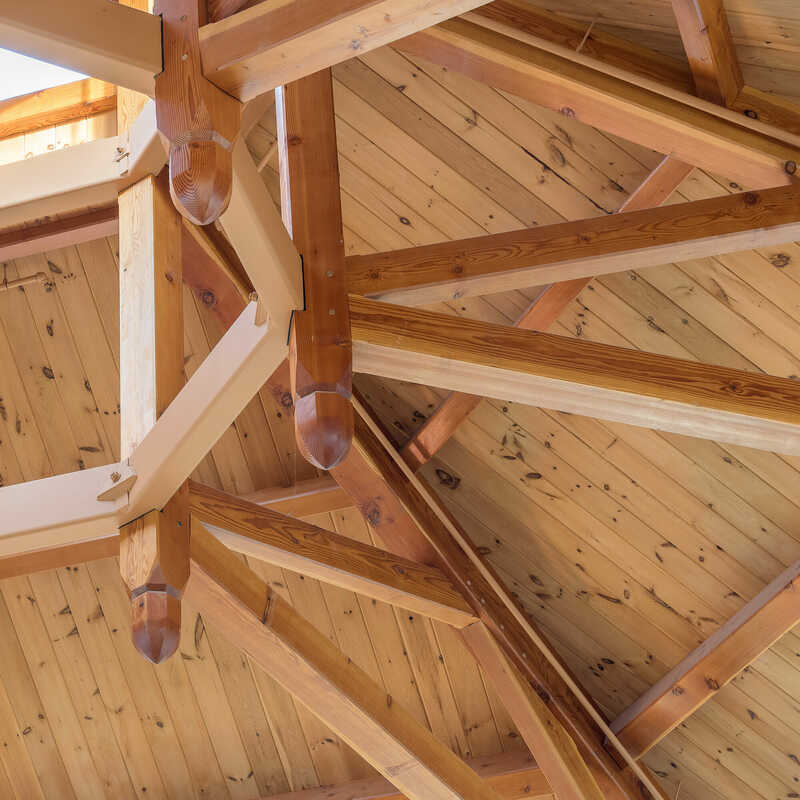 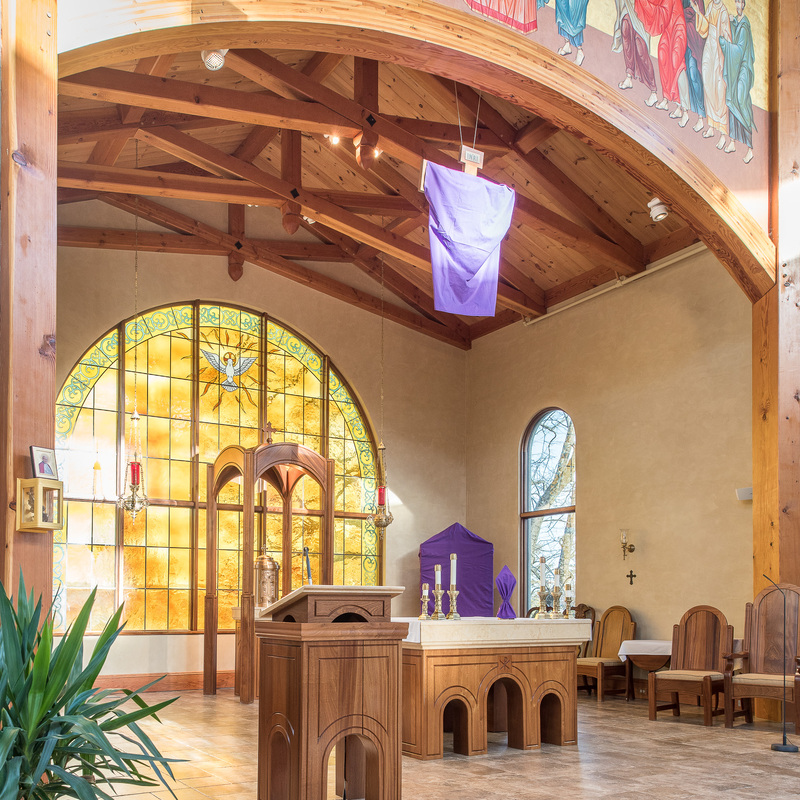 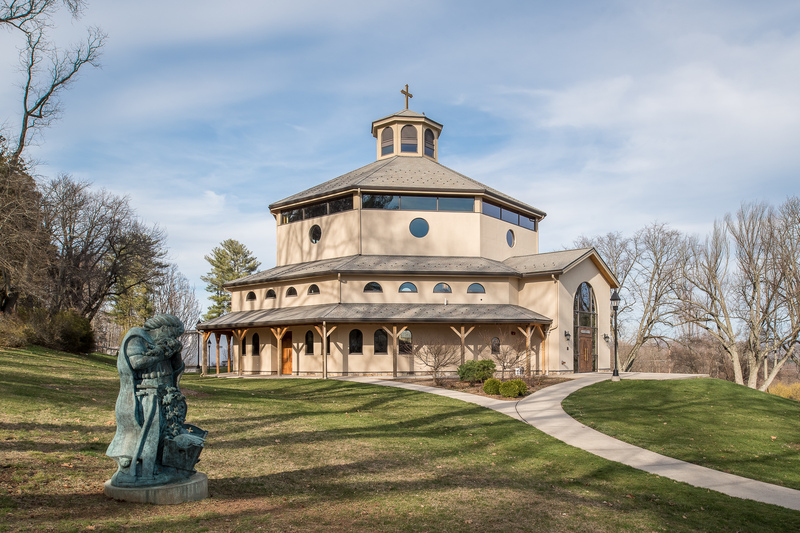 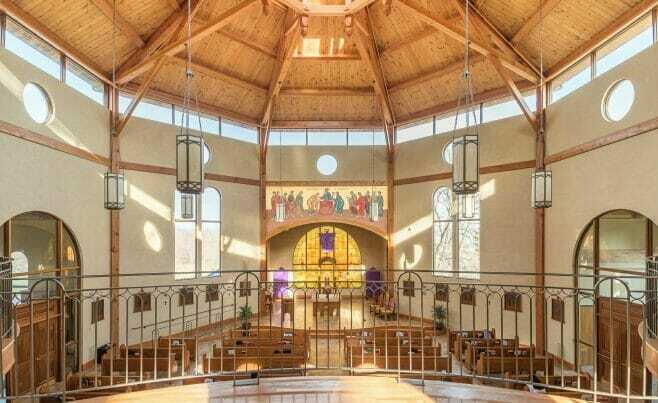 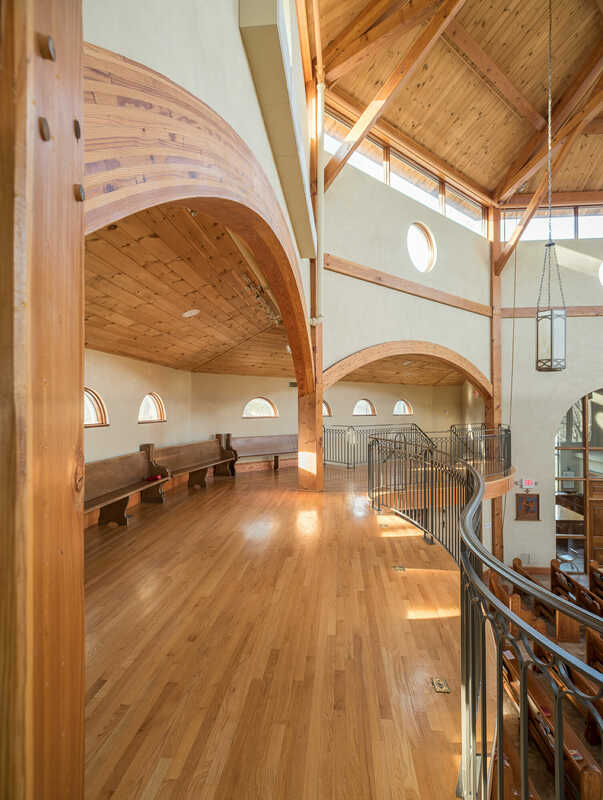 The Chapel for the Holy Apostles is a college and seminary in Cromwell, CT. Vermont Timber Works constructed a massive, octagon timber frame for the college. 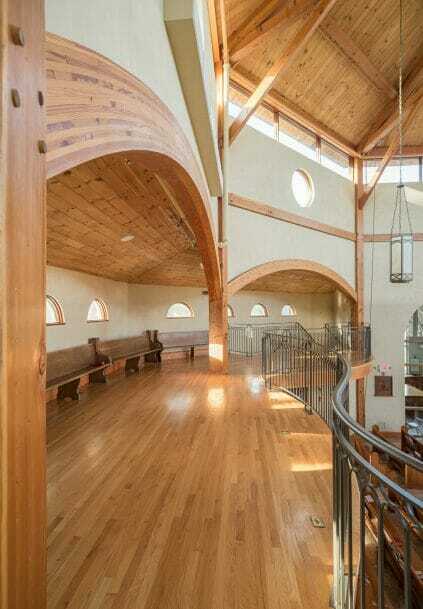 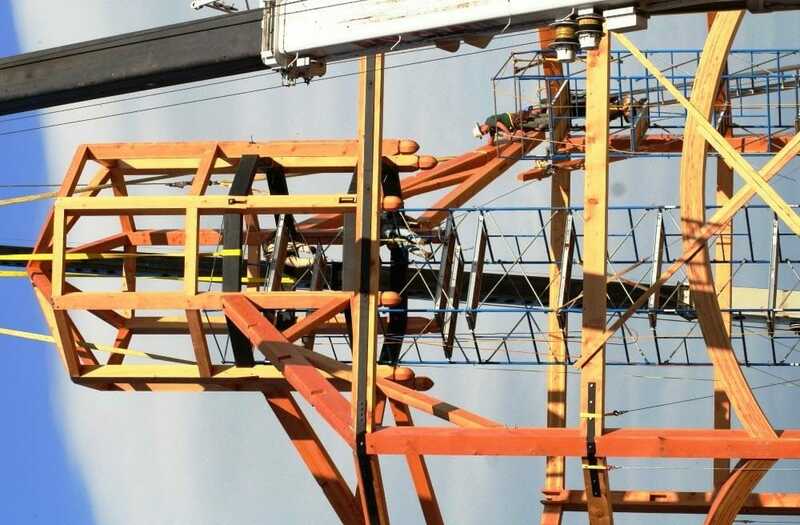 We worked with Don Hammerberg Associates, Architects, John Jack Delaney, P.E. 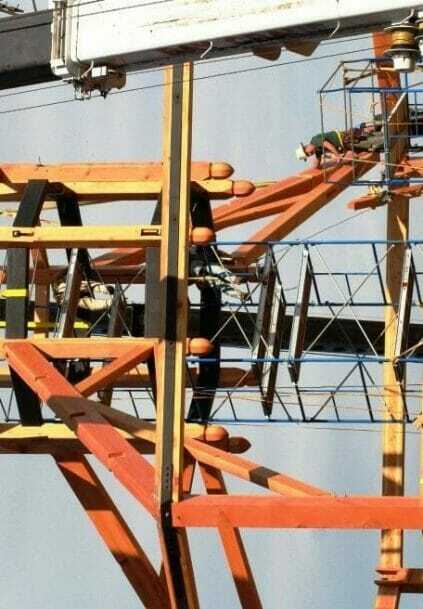 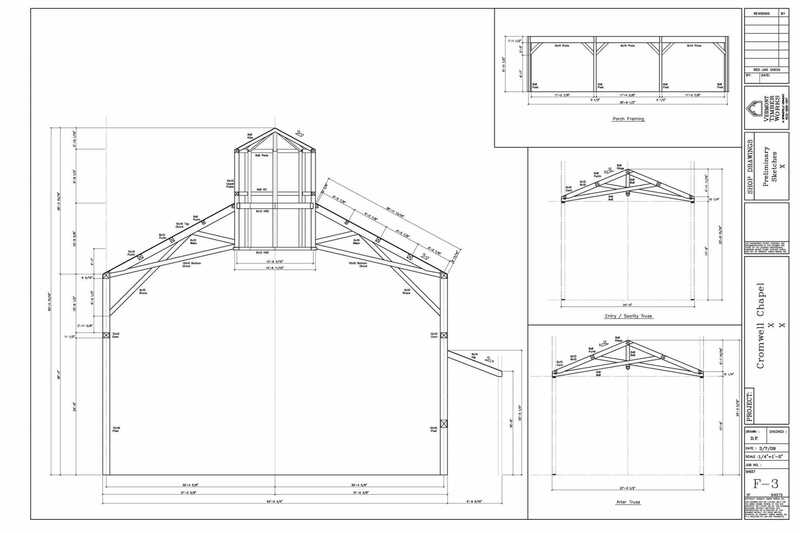 and Sullivan Brothers, General Contractors on this project. 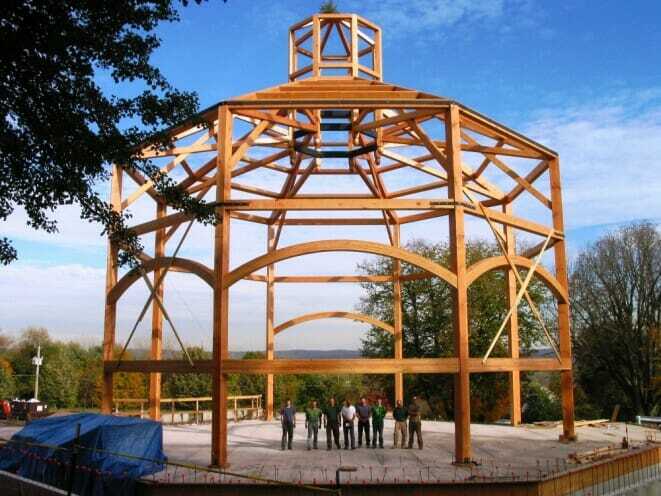 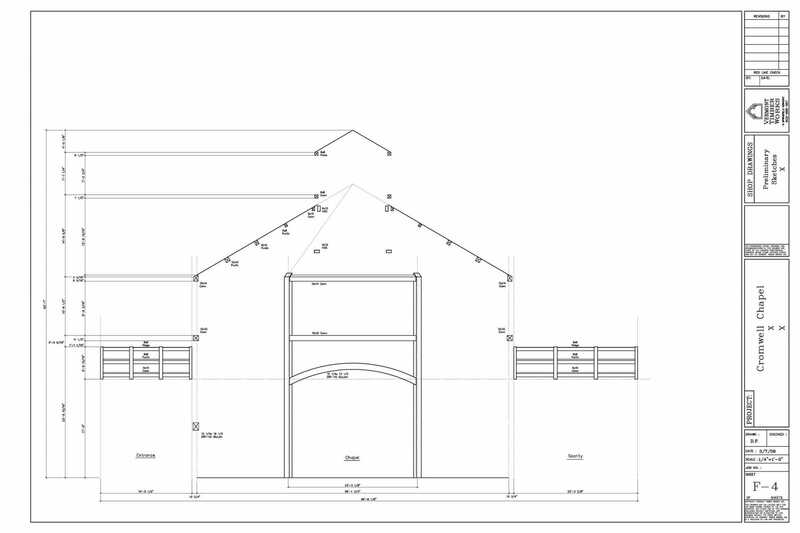 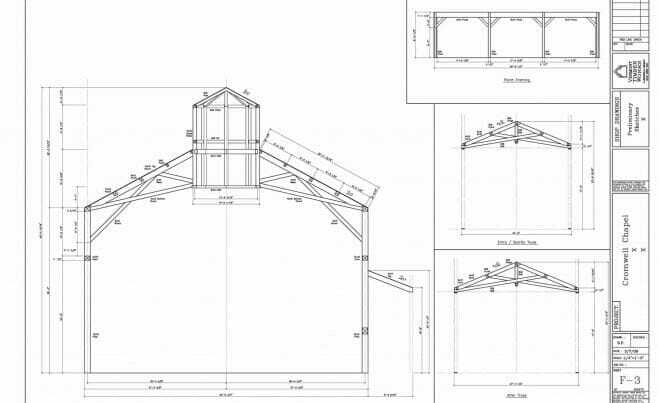 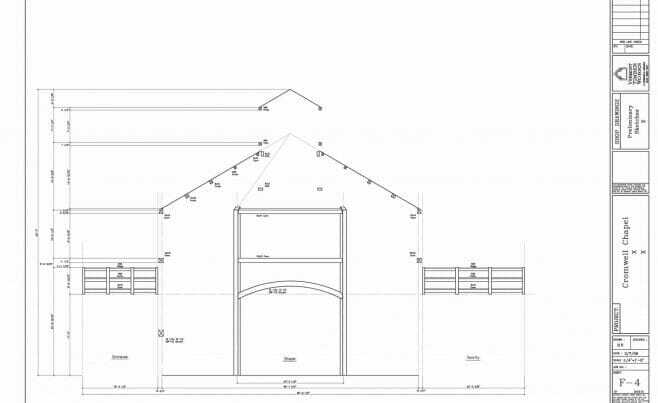 If you like this timber frame, or have any timber work questions, we invite you to get in contact or ask an expert! 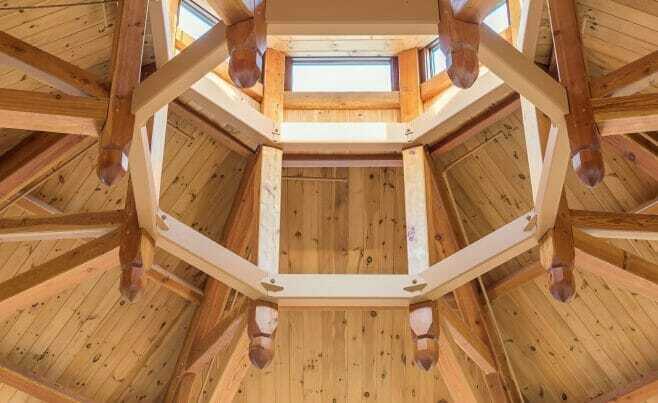 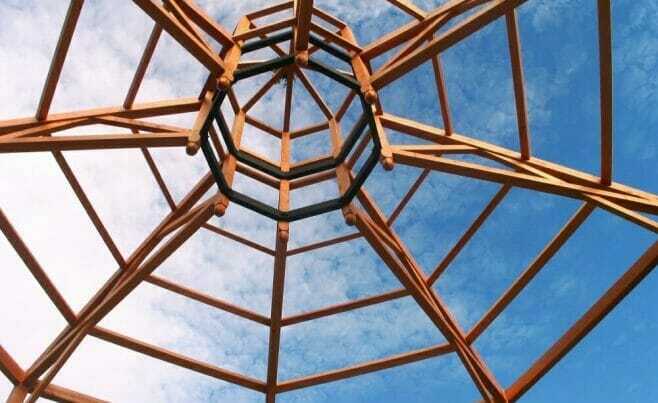 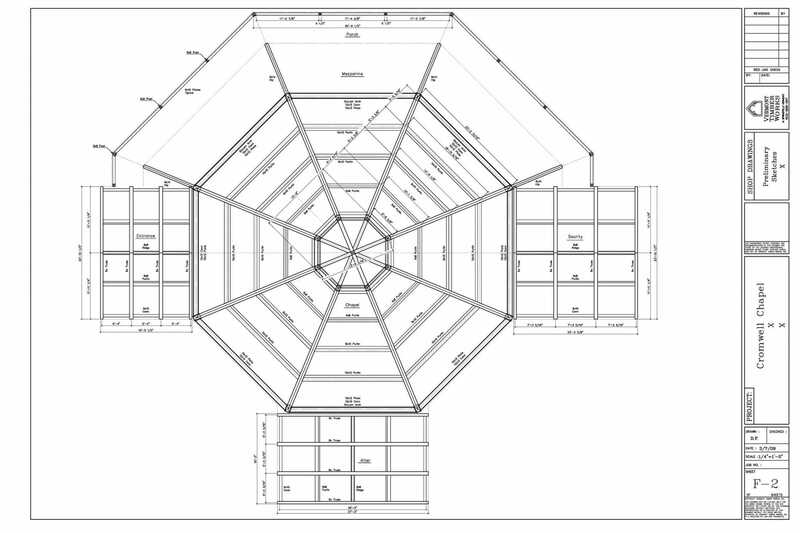 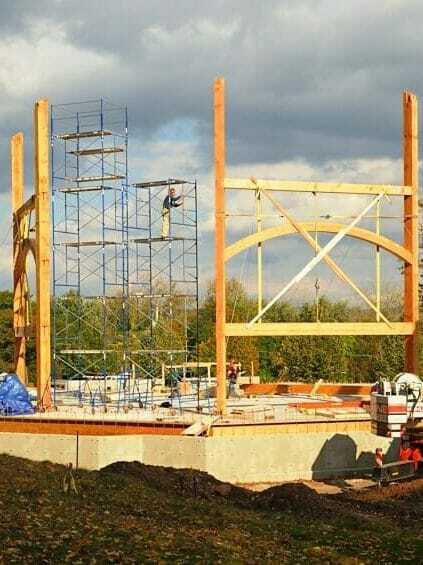 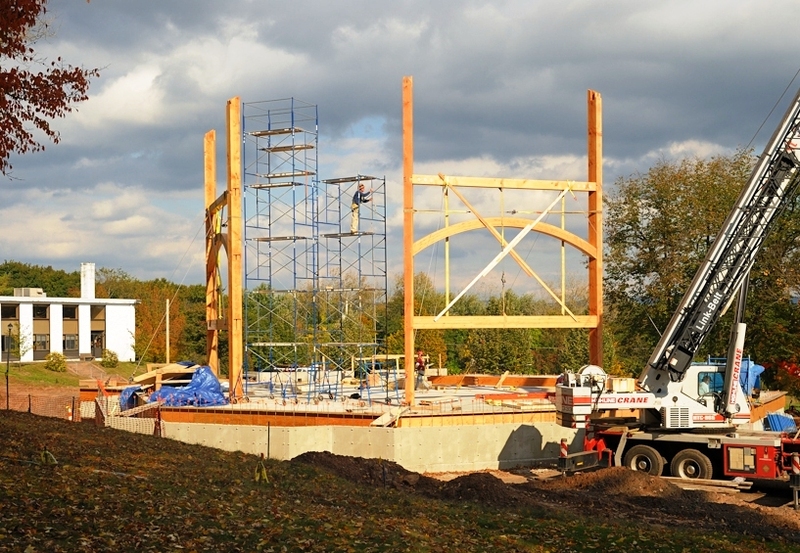 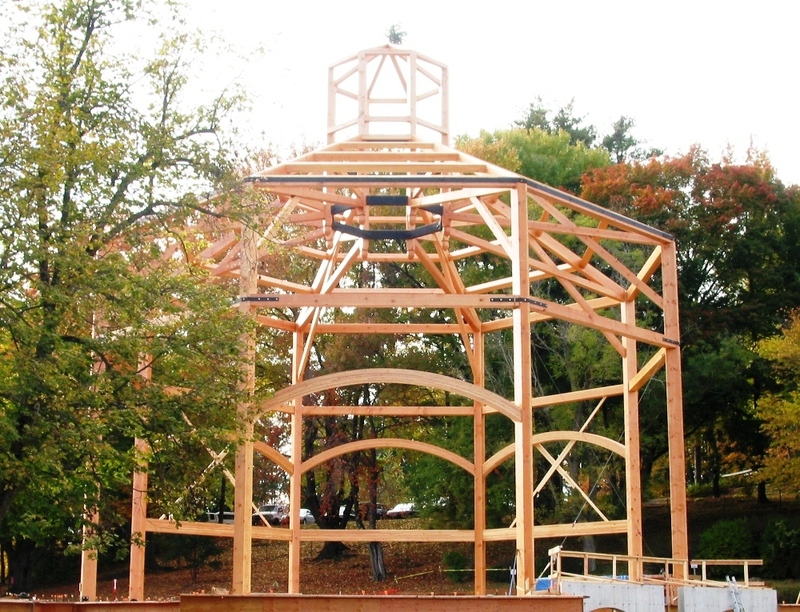 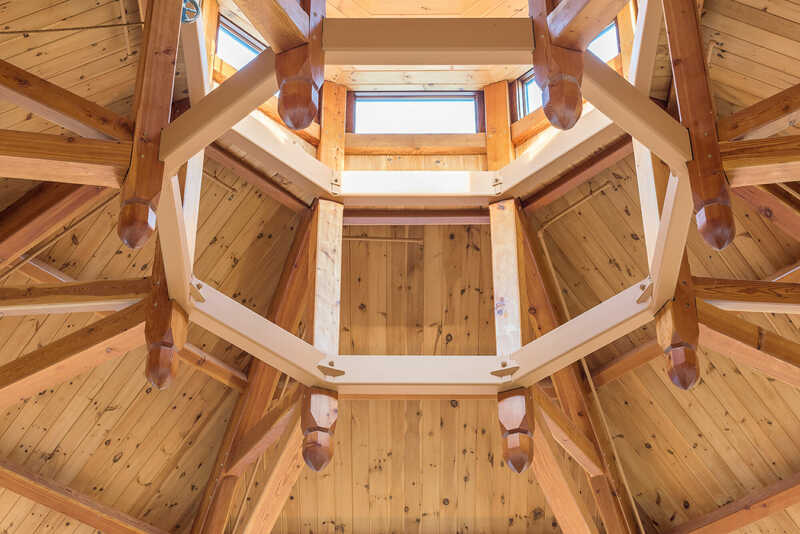 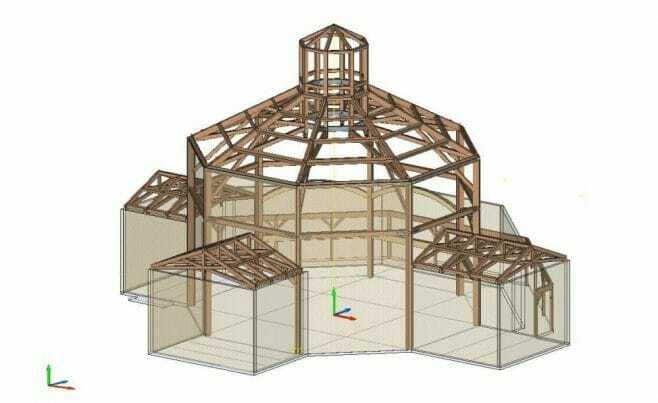 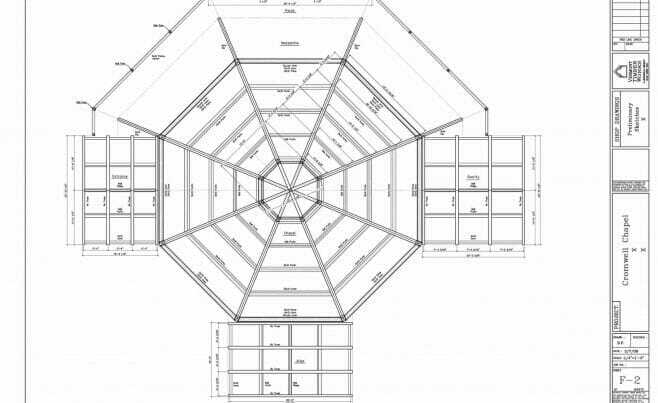 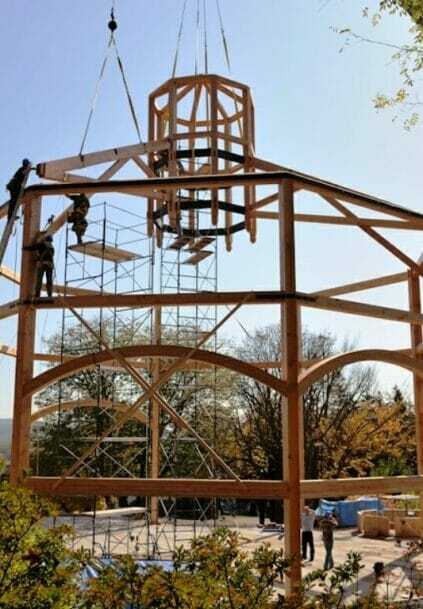 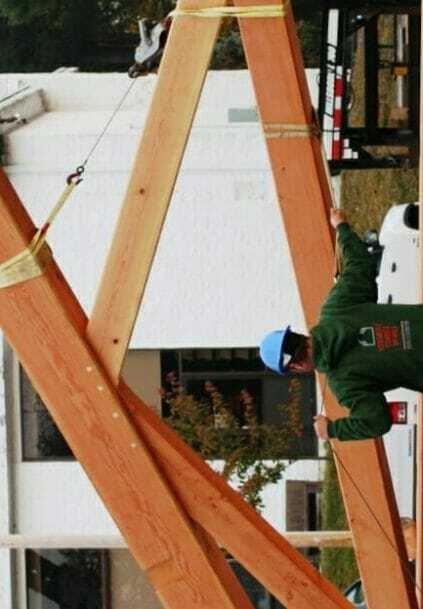 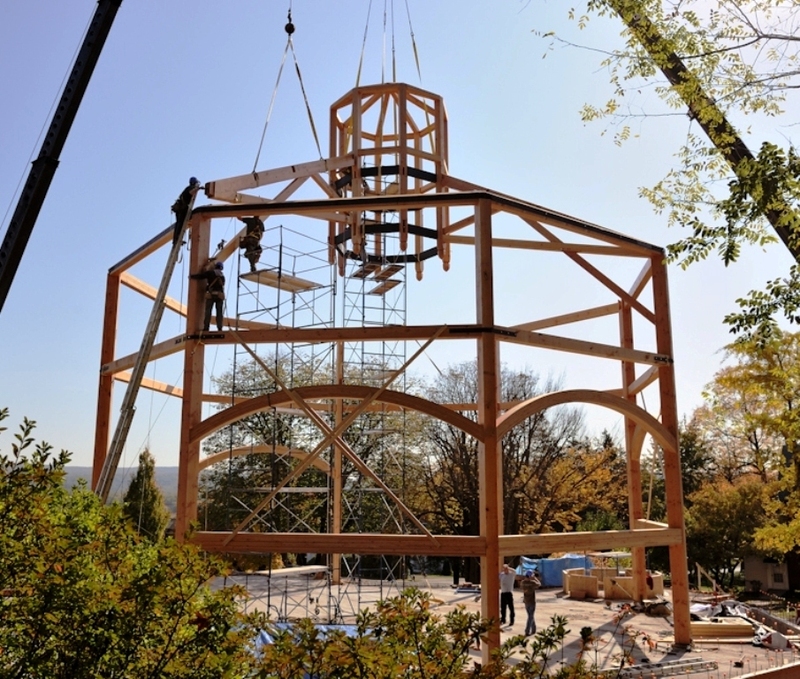 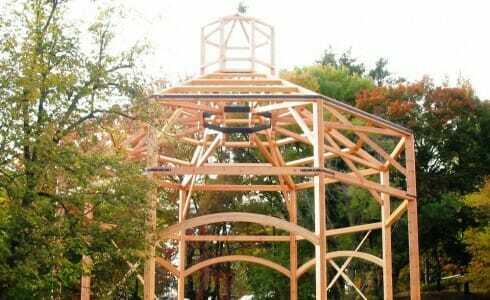 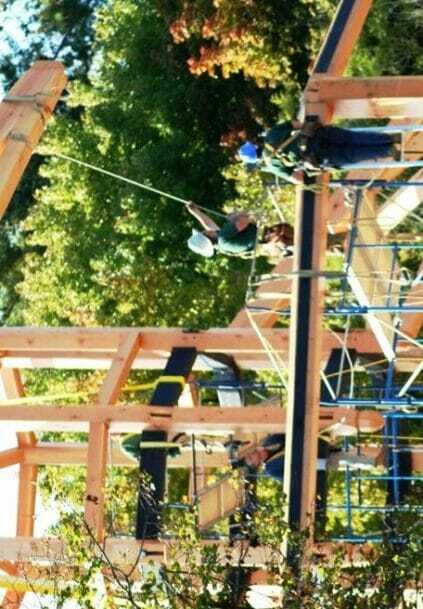 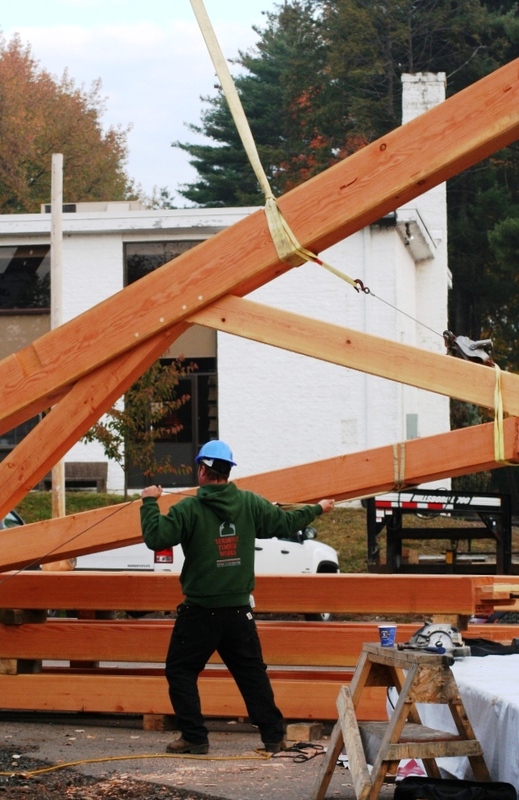 It is a heavy timber frame octagon with a sixty foot span. 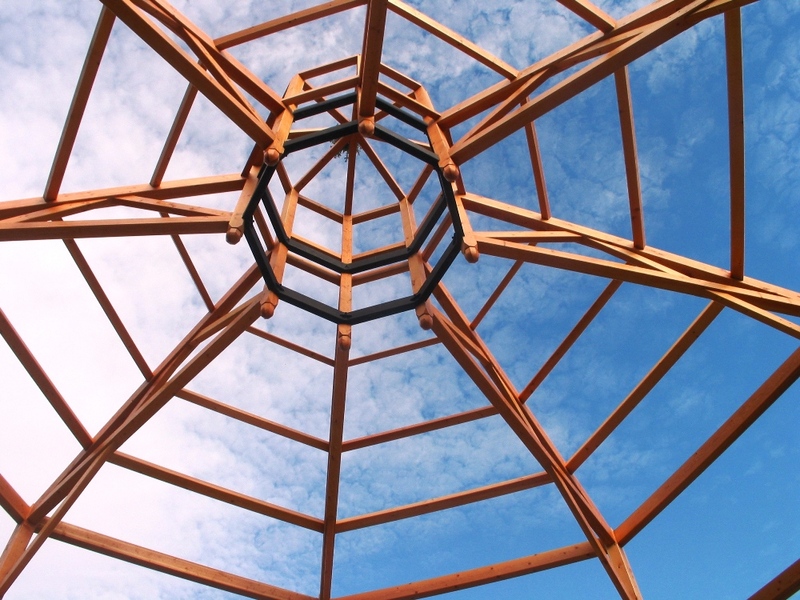 The bell tower was constructed using a classic tension ring/compression ring. 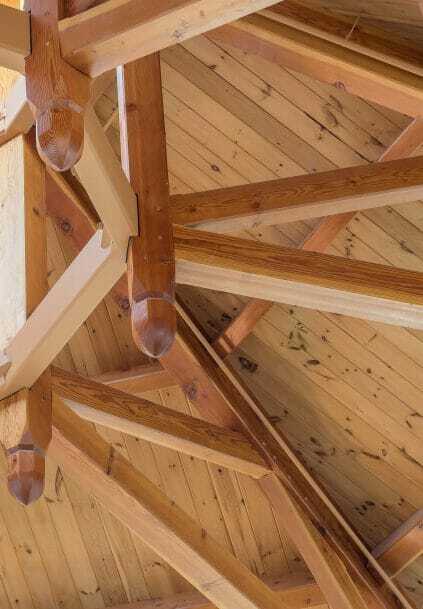 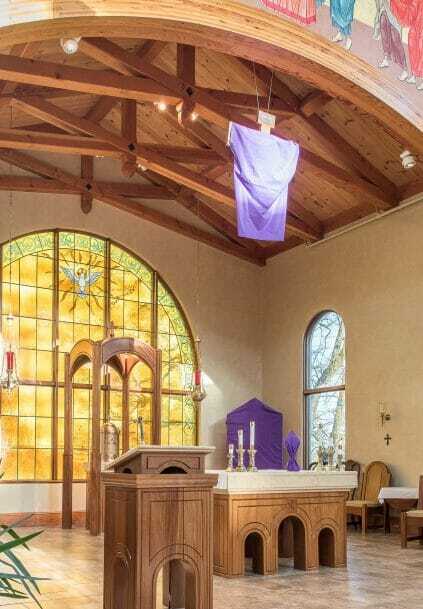 The Sacristy, Alter and Entry have scissor trusses with hand carved finials. 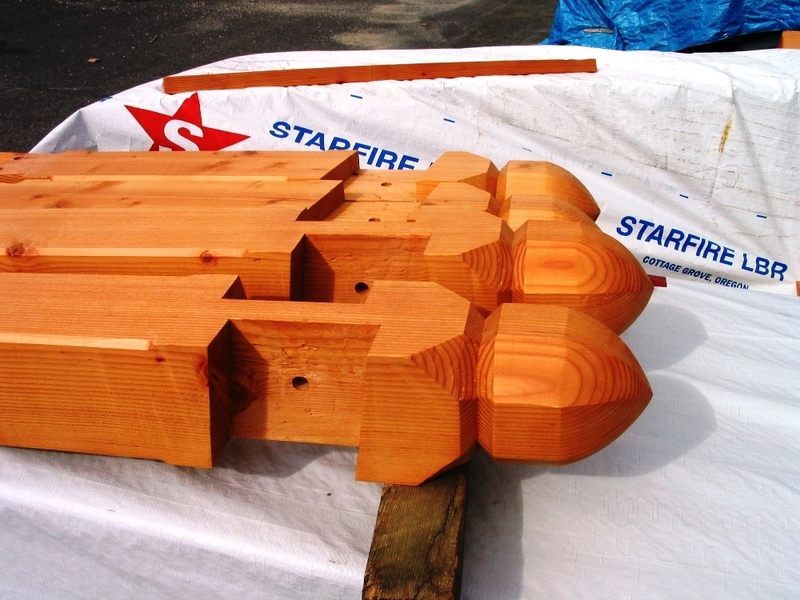 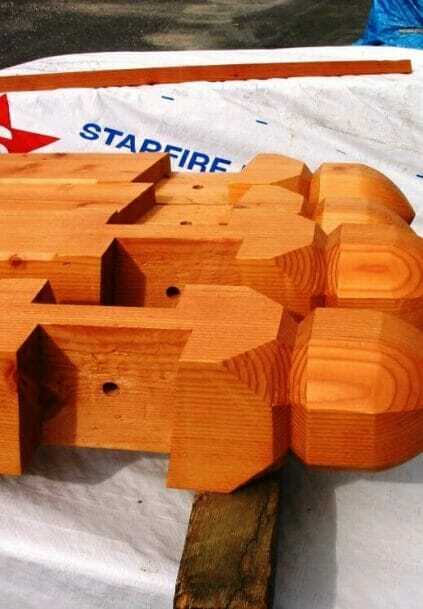 The wood is douglas fir with two coats of shop applied spar urethane.